Generally client school on-campus workshop sessions are scheduled for two or two and a half hours, based on the school day and other considerations. Students select one of the after-school sessions on Wednesday, Thursday, or Friday. Morning and afternoon options are available on Saturday. Days and times are flexible. A primary focus is helping students comprehend (make sense of) academic material. 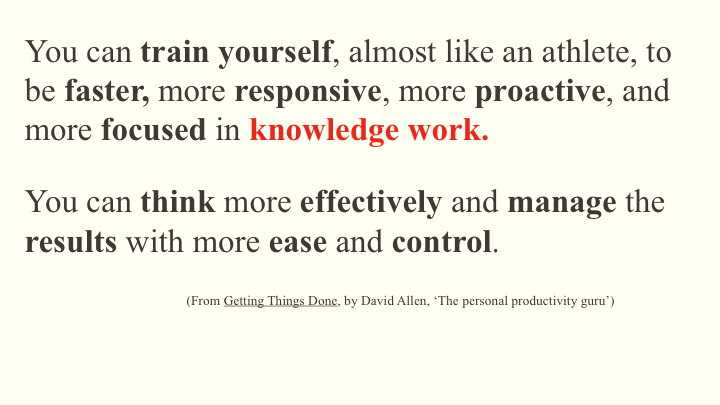 Better reading strategies, efficient techniques and habits, and a review of the characteristics of successful students encourage participants to make positive adjustments to the ways they approach classroom and home study; i.e., knowledge work. As one student wrote on his exit survey, “I learned a ton.” Another commented, “It answered all of my questions and gave me obvious results…” Students have responded that, while the initial thought of giving up two hours or more, especially on a Saturday, was not initially appealing, they found the time spent worthwhile. 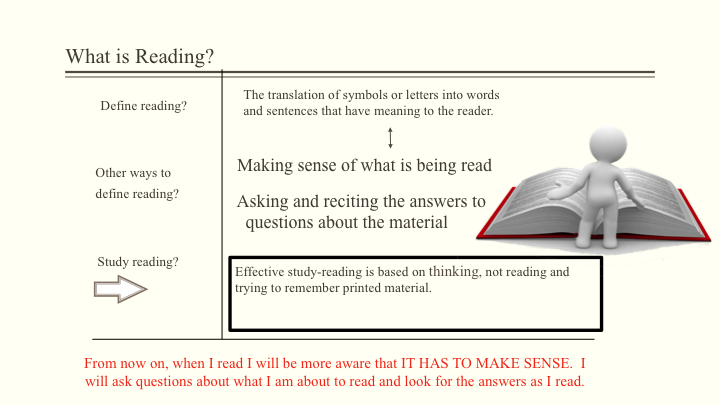 The workshop offers a definition of reading as making sense, and asking and answering questions; e.g., after reading a section or a page of an assignment, can a student cover the material and out loud, answer a question such as “What is important about the section/page I just read?”. By doing this they are practicing what might be expected of them in class the next day, verbally or on an exam. They are also proving to themselves that they have, in fact, “read” the assigned pages. 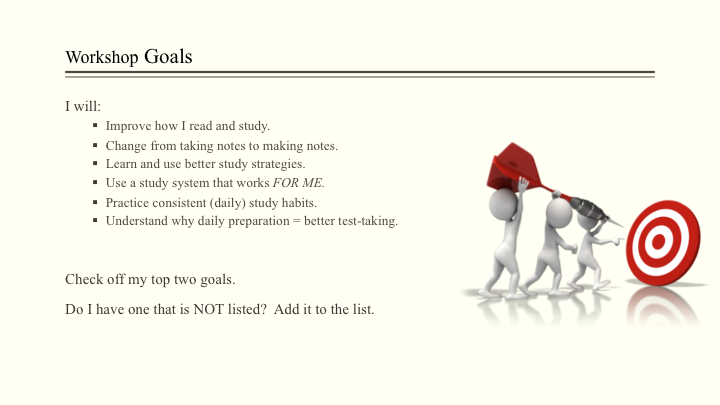 Using the Cornell Method for note-making (rather than note-taking), getting into the habit of pre-reading, and having a study system of choice all encourage students to be more involved as they read and study. These are habits which better prepare students for the academic challenges they face in middle school, high school, or at the college level. Who Is This Workshop For? Well, Just About Anybody!